Many recent graduates are looking for their first professional job now that graduation ceremonies have concluded. This is a scary yet exciting time in a young person’s life and there are tons of potential opportunities in front of them. However, it’s essential for job seekers to do a few things while applying for their first entry-level jobs. Some universities will have career centers that can point students in the right direction before they graduate while others will be left to search through their professional network to look for advice. The job application process can vary greatly from field to field, but either way there are a few universal things recent grads should do to ensure success when looking for jobs. These days almost every person has a social media profile, or several, that can be a positive or negative representation of themselves. Recent graduates who do not yet have a LinkedIn profile should set one up straightaway and make sure they have a professional photo as well as a list of whatever they have done so far in their career. It’s absolutely okay to provide unpaid internships, volunteer experience, or extracurricular activities done while in college. Additionally, recent grads should make sure their Facebook and Twitter pages convey a professional representation of who they are as a person. Most job seekers dread the thought of making a mistake at an interview. It’s one of the most nerve-wracking experiences a young person will have, and it doesn’t get much easier as time goes by. As a result, recent grads are encouraged to heavily practice their interview skills until they feel more at ease in the situation. There’s no way around it, the interviewer could decide to give the applicant a chance to start their dream career or pass their resume by. Although it’s great to practice interview skills with family and friends, students are also encouraged to seek the advice of a professional at their university’s career center who can give them constructive criticism. Another alternative is to have an informational interview with somebody in their potential field who can give them honest feedback about their performance. Complicated and unexpected questions can be very challenging to answer. Although students and recent grads can practice certain universally difficult questions, the reality is they will probably be caught off guard. Students should practice answering questions that may seem ridiculous or off base so they can control their reaction when it comes to the real deal. In many cases, the interviewer just wants to see how a potential employee will react as opposed to focusing on the specific answer to their question. It’s really important for applicants to be themselves and let their genuine personality shine through. It’s important for the interviewer to know that the applicant is sincere and would be able to get along with other people in the office environment. However, it doesn’t hurt to be the best version of you. This means dressing nicely, being prompt, being flexible with the interviewer’s schedule, and setting aside the correct amount of time for the interview. In addition to being pragmatic, recent grads are encouraged to maintain their sense of humor throughout the interview process. In the modern economy it’s quite possible that a highly qualified applicant won’t find and entry level position in their dream field right away. They may end up doing a second internship, working part-time in their field and moonlighting elsewhere, or they may have to keep the job they had when they were a student for a while. As long as students are improving as they go through the process they shouldn’t get too down on themselves. Eventually, most graduates find a good entry level position in their field but keeping a great sense of humor can keep spirits up during this transition. For more job search and interview tips, follow us on LinkedIn, Facebook, Twitter, and YouTube. 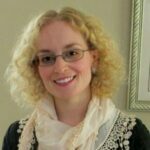 About Robyn Scott, author: Robyn Scott, a guest writer for College Recruiter, is a private tutor with TutorNerds LLC. She has a BA from the University of California, Irvine, and a MA from the University of Southampton, UK.